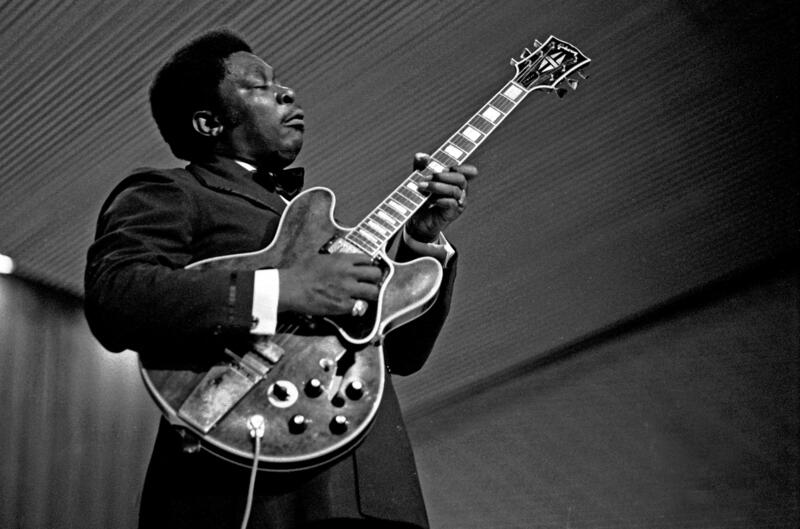 American Blues singer known as 'the King of Blues,' B.B. King spent a lot of time performing in Hallandale Beach, Dania Beach, and Liberia during his career. The Hollywood Historical Society hosts a lecture series almost every month. But for Black History Month, the organization is turning the event over to a young Broward filmmaker, Emmanuel George. His new documentary, "Dania Beach and Liberia: A Tale of Sibling Communities," has been in the works for almost a year and a half with a team that includes local filmmakers Ian Mann and Premimethieu Sterlin. George will preview a chapter from the film at this month’s lecture series. It’s about how similar the cultural and social scenes in Dania Beach, Hollywood and the historically black neighborhood of Liberia were in the late 1940s and early ‘50s. Hear what B.B. King has to do with Dania Beach and Liberia. The 29-year-old George said he has an old soul and he’s always had a passion for oral histories. He believes these social movements laid the roots for how the communities are still connected today. George said, by making the film, he and Mann and Sterlin want to show what life was like in the less-famous black history scenes in the smaller communities. Rich history at the local level is one of the reasons that Mann has enjoyed working on the film so much. "Family and community come first with our elders," he said. "I think that's something as the next generation to learn from." Sterlin said he wants people to walk away asking themselves how many other communities like Dania Beach and Liberia are out there. "It's super important to people who live in the city - and to people who don't - to hear from people who were raised in different times and different areas," Sterlin said. The trailer for the film puts an emphasis on unity between millennials and the elders of the Dania Beach and Liberia communities. “From the elders and the youth, to move forward we have to look back, spread love and appreciate those that have given back to their community…” the trailer says. After the preview of part of the film, George, Mann, and Sterlin will help host a community Q&A about the future of the community, development and gentrification in Dania Beach. The full documentary is expected to be released sometime in summer 2018 Mann said. 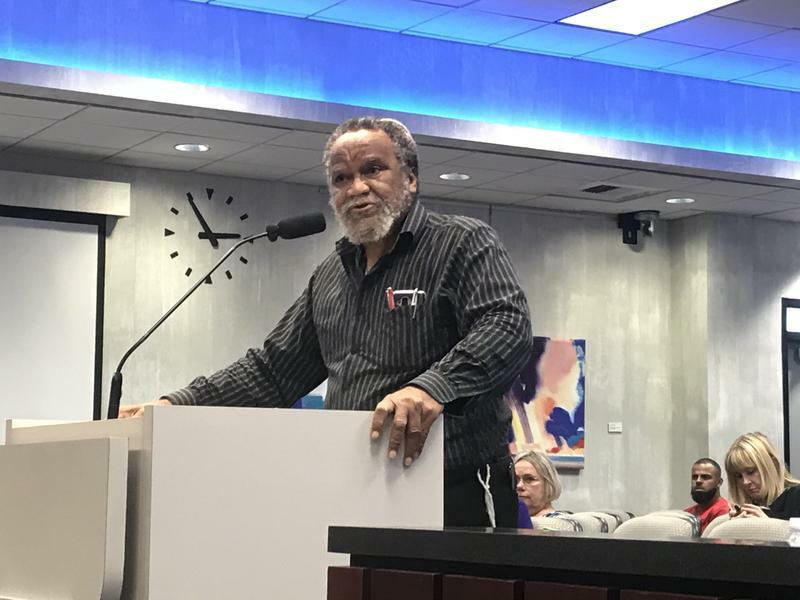 The Hollywood Lecture series is this Sunday, Feb. 11 at the Stirling Road Branch Library, 3151 Stirling Rd., Hollywood from 1 p.m. to 4 p.m.
After a lengthy debate, the city of Hollywood is moving forward with renaming Forrest, Lee and Hood streets, which honor Confederate war heroes. At Wednesday’s regular commission meeting, Mayor Josh Levy said he was ready to finalize this issue, which has been going on for several years. "We stand certainly for much better than what those men stood for," Levy said. "We don't have to honor something that's so offensive to all of us." 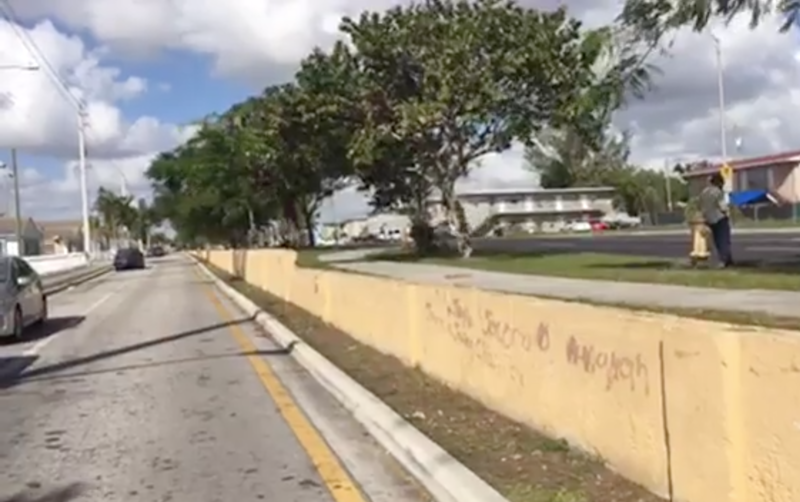 A yellow wall divides Northwest 12th Ave along the east side of the Liberty Square housing projects. The wall is no more than three feet tall at it's highest point and on the other side is a raised street making the wall only visible if you're in the housing projects. Military personnel are seldom surprised or starstruck. 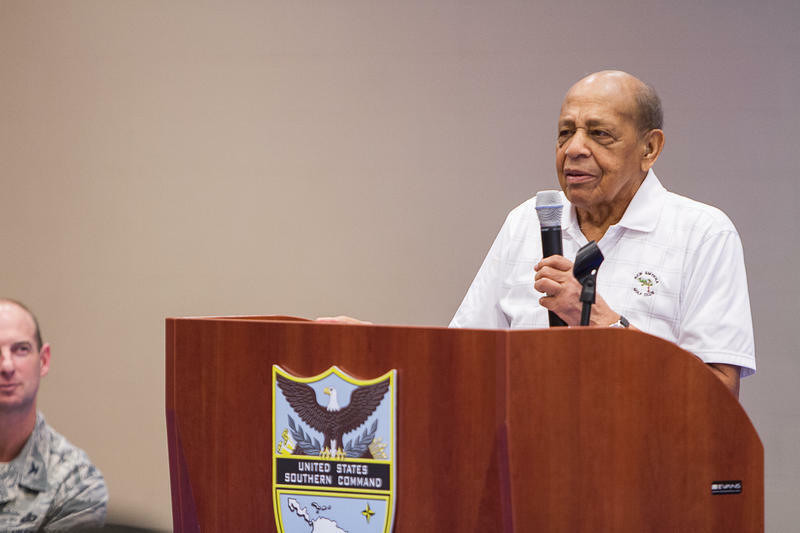 But that’s exactly what some of the men and women at the U.S. Southern Command in Doral were after meeting World War II and Tuskegee Airmen veteran and educator Dr. Harold Brown. Brown was invited by the Miami-Homestead Air Force Association chapter and presented awards to four local aviators for their outstanding performance in 2017 at a special event at the Southern Command on Thursday.